It’s May, and that can only mean one thing in the beauty world. 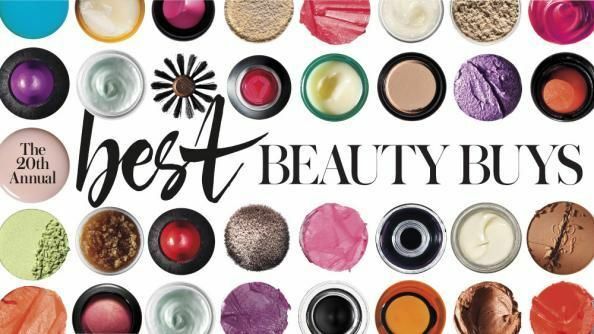 It’s time for InStyle magazine’s annual Best Beauty Buys issue! As in past years, many products in this year’s issue are ones I’ve discussed on the blog or currently use. Here’s a rundown of some of my favorites. Hourglass Veil Mineral Primer – I needed a new primer for gala season this spring, and I had read good reviews on this one. Even better, Sephora sells a travel size version — perfect for me, since primer is not a product I’ll use every day. Expect a post forthcoming on the blog about this one. Giorgio Armani Luminous Silk Foundation – I’ve recently returned to wearing foundation every day, and there was only one option for me. Twelve years straight on the Best Beauty Buys list. No argument here. 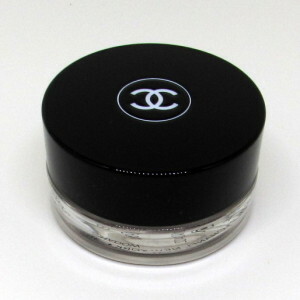 Chanel Illusion d’Ombre Longwear Luminous Eyeshadow – Thanks to a long layover in the Narita airport last summer, I bought a pot of this eyeshadow in New Moon. At first, I thought it was too glittery for everyday wear, but as it turns out, it’s my go-to for a quick makeup look. Silky finish, buildable pigmentation, and no slippage. Urban Decay EyeShadow Primer Potion – And before I apply any eyeshadow, a thin layer of this product goes on first. Easy to use and apply, and most importantly, it works! Shu Uemura Eyelash Curler – I’ll confess that I don’t curl my eyelashes often enough. But, any card-carrying beauty addict owns this tool, and you better believe I do. Benefit Benetint – I keep a bottle of this in my office desk. It’s the perfect emergency make-up solution. Dab and blend a little on your cheeks. Dab and blend a little on your lips. Versatility in a bottle. Chanel Glossimer – Take a look in my purse make-up kit, and you’ll see that I carry two shades of this Chanel lip gloss, Pagoda and Nakkar. Soft color, never sticky, glossy shine. CeraVe Hydrating Cleanser – Every night, I wash my face with this cleanser. It gets the job down without stripping moisture from your skin. It’s ideal for those with sensitive, dry skin, like me. Estée Lauder Advanced Night Repair – Classics don’t go out of style. In my opinion, this is still the best nighttime serum out there. This serum goes on my face every night before I moisturize. Dove White Beauty Bar – I like to keep it simple where I can. You’ll find a stash of these bars under my bathroom sink. L’Occitane Shea Butter Hand Cream – My favorite hand cream for years. It’s creamy and nourishing to your skin without being at all greasy. Spring for the big tube and keep it on your nightstand. Your hands and manicure will thank you. L’Oréal Paris Elnett Satin – Thanks to my new(ish) job with frequent black-tie events, I’ve put my hair up-doing skills back to use. I have two secret weapons — lots of bobby pins and lots of this hairspray. Don’t be shy; be heavy-handed. It’s Texas, after all. Generic Priligy vardenafil sale from http://howmed.net/priligy-dapoxetine/ and read about Priligy warnings, contraindications. Which of your beauty product favorites made this year’s InStyle Best Beauty Buys list? Share your picks in the comments!